Trinamul has said it wants to field some apolitical faces in the coming municipal polls in the hills, a strategy the party adopted before to ward off dissidence and preserve the organisation's goodwill in case of a defeat. "Along with political people, we plan to nominate some apolitical persons who have popularity in their respective localities and are known for their contributions to the society as candidates in hill municipal polls. We have been categorically instructed by the state leadership to take utmost care in selecting the candidates," Binny Sharma, the spokesperson for hill Trinamul, said today. Trinamul had nominated apolitical people as candidates in polls earlier also. "In local polls, it is often found that more than one party worker or leader want to be the candidate. 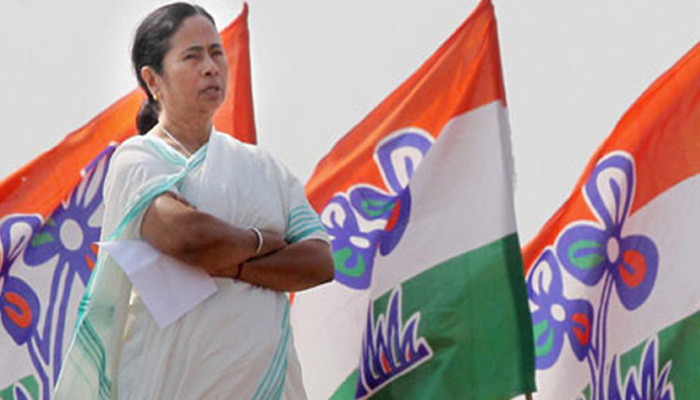 To avoid an internal feud in Trinamul, an apolitical person is fielded as a candidate. When the party faced similar problems in Assembly and Parliament polls before, apolitical faces were given tickets," said an observer. "If an apolitical person is fielded and he wins, credit goes to the party as he/she is not known in the political arena. If the candidate loses, the party doesn't suffer much harm and repercussions are minimal, said the observer. Sharma said Trinamul leaders and workers had been busy with the visit of chief minister Mamata Banerjee to Mirik yesterday. "From tomorrow, we will start the candidate selection process. Names have been sought from local leaders. Once we receive the names, those would be scrutinised and if required, we will consult with state leaders. Selection of candidates is an important work and we want to carry out the process in a serious manner so that the best from the list are chosen in each wards of four civic bodies," he said. In the hills, polls would be held in 84 wards of Darjeeling, Kurseong, Kalimpong and Mirik municipalities. This is the first time that Trinamul is giving so much impetus to the hill civic polls. In 2012, the Gorkha Janmukti Morcha had won uncontested all seats, except five in Mirik. Hill Trinamul leaders said there was no possibility that those Morcha leaders and members who had switched to the ruling party would be among the nominees of the municipal elections. "We will strictly work out certain parameters and the most important factor is one's reputation. Whether the person concerned can carry out the responsibility of working for the party and expedite development once elected as a councillor will be also assessed. There are some reputed people who have quit the Morcha and joined our party. Many of them will get nominations in the civic elections. However, there is no guarantee that all new entrants would get tickets," said a Trinamul leader who didn't want to be named. Trinamul is taking such a caution because it doesn't want its councillors to be lackadaisical. "We want them to perform and prove that the Trinamul civic boards are better that those run by the Morcha. This is because we are eyeing rural polls and elections to the GTA which would be held this year. If our elected representatives can prove themselves in towns, it would help us garner support in rural areas," said a Trinamul insider. "If we do not choose competent candidates, this strategy will fail even if we win civic bodies," he added. Around 2,500 residents of Garidhura and nearby areas - a small hamlet located in the foothills and around 20km from here - joined Trinamul today. Among them were a number of workers of the Morcha.